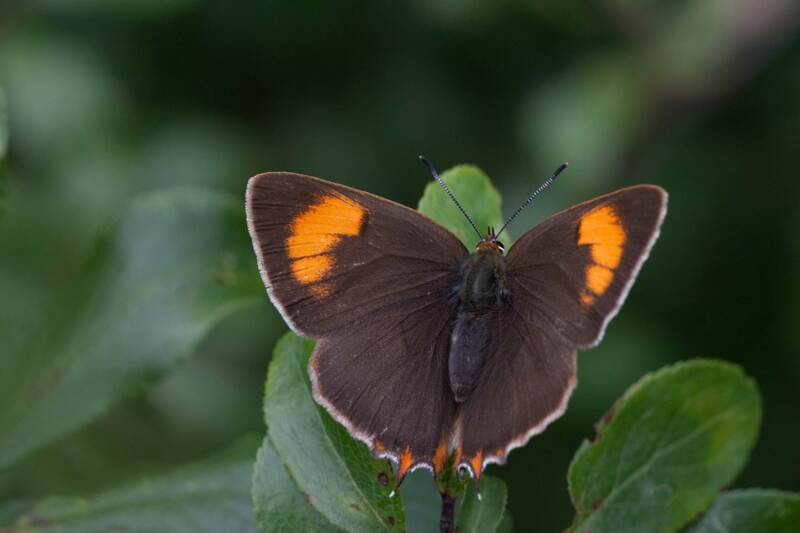 This small elusive butterfly is the largest of the British hairstreaks. The female upperwings are a deep warm brown and her upper forewings sport large orange flashes, these flashes are absent in the male. The underside of both sexes is orange with white streaks.